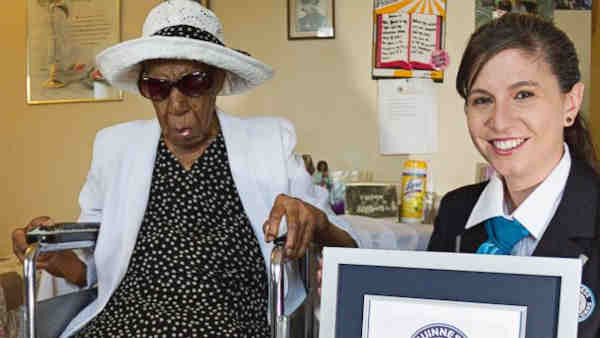 BROOKLYN, New York -- Susannah Mushatt Jones, the world's oldest person, has died in New York at age 116. Jones, who was affectionately known by family and neighbors as Miss Susie, died Thursday night at a public housing facility for seniors in Brooklyn where she had lived for more than three decades, according to Robert Young, a senior consultant for the Los Angeles-based Gerontology Research Group. She had been ill for the past 10 days, he said. Her death leaves a 116-year-old woman from Verbania, Italy, Emma Morano, as the world's oldest person, and the only living person who was born in the 1800s, Young said. Moreno was just a few months younger than Jones, according to the organization, which attempts to track all living supercentenarians.